Tutoring is specifically designed with our students in mind. By pairing students with adults, there is an immediate connection between this generation and the next. In the process, tutors become mentors and students become friends. 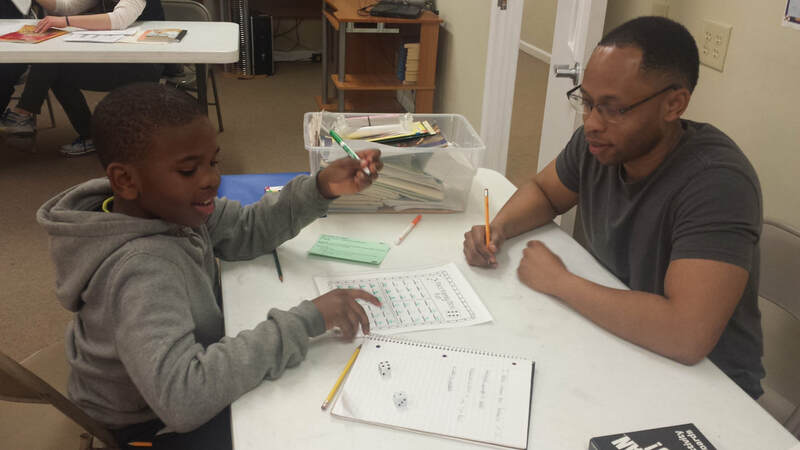 With our 1:1 tutoring, each student receives the attention they need to achieve the next level of their education. Like all good relationships, this time can also address spiritual, relational, or emotional needs. For more information on this opportunity, follow this link for an inside look. Also, check out our tutoring opportunity with IPS 14 and our partnership forming with the administration at that school. Tutoring happens on Tuesdays and Thursdays 4:30 - 5:30. 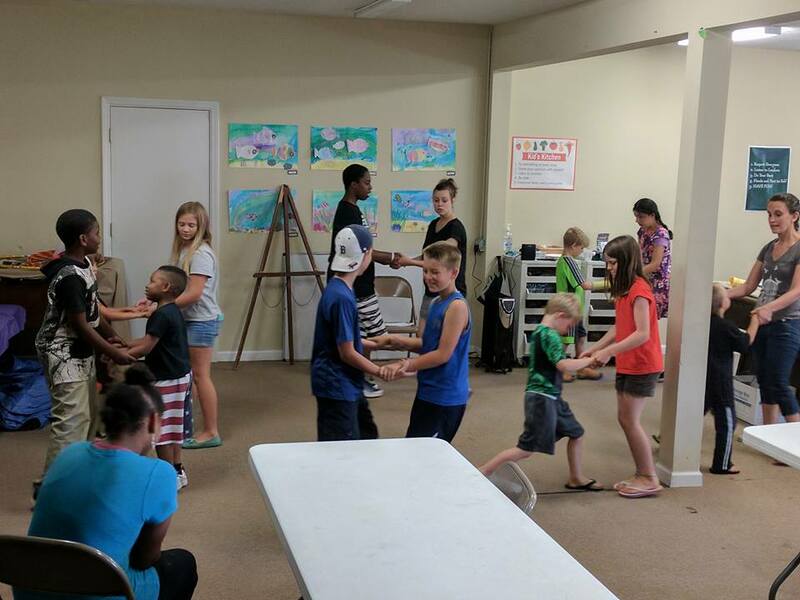 The 'express yourself' enrichment day camps provide a safe environment for children and youth to gain new skills in a specialty area, while simultaneously gaining confidence in the people God created them to be and finding ways to express their own creativity. Some of these camp interests include art, photography, cooking, gardening, music, performing arts, and creative writing. Each camp is unique. Our camps follow the IPS calendar and occur during school breaks. Follow LYN House on Facebook or subscribe to our newsletter to see when our camps are offered. ​For children already enrolled in our on-site tutoring program, we offer "Healthy Choices" after school and before our tutoring session. Children will participate in art or exercise, social-emotional lessons, and Bible teaching as part of the curriculum. Missional journeys are an opportunity for outside groups to participate in the ministry of LYN House. They are all about creating space for listening and learning. They are about fostering reconciliation and redemptive relationships in an under-resourced neighborhood. Missional journeys are not mission trips in the sense that outsiders come in to help and save others in poor neighborhoods. Rather, it is about recognizing that the privilege of some and the poverty of others are connected to each other through complex histories and injustices. You can start your journey by following the link and learning more about our missional journeys. Urban Act is a local school that most of our neighborhood kids attend. Because of this, we support the school by weekly volunteering to help tutor young students. Although similar to LYN House tutoring, it takes place at the school as it is in session. When it comes to supporting our local students, it's all hands on deck. This amazing opportunity is open to any who are willing to be a part of the local community. To find more information on this opportunity, see our School Site volunteer description for more details. 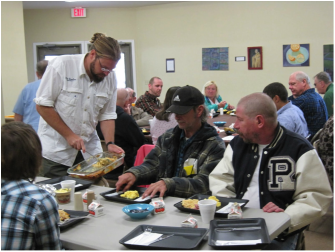 On the second Saturday of every month, different groups or churches volunteer to cook breakfast for the community. During this time, families and members of the neighborhood come in to enjoy genuine community and good food. Each Saturday is unique and brings with it a sense of belonging and thankfulness. If you would like to host a breakfast, please follow this link for more information on how you can be a part of this time. After the first year, LYN House Basketball has proven to be an exciting program for the community. It is a co-ed league that invites beginner and intermediate players, starting at age 4, to learn the game and enhance their skills. Each week, players are challenged to develop their skills and have the opportunity to hear about the Gospel as a team. LYN House partners with Woodruff Place Baptist Church, Englewood Recreation and Indy First Church to make this happen.